The story takes place in 1896, the Winter Carnival is in full swing, but St. Paul’s wealthiest man has lost his head—literally. A young man disappears just before his wedding, and his fiancée has already given back her wedding dress. When a gruesome discovery is made in the Ice Palace, there’s only one man for the job. Sherlock Holmes is summoned to solve a mystery that’s hardly elementary. 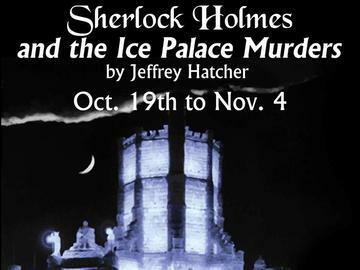 With the help of trusty Watson and Irish barkeep Shadwell Rafferty, it’s up to Holmes to track a cold-blooded killer from the icy streets of St. Paul to the frozen Mississippi River.